This studio of 14 m² with a magnificent view is ideal to discover Alsace! Treat yourself to the heart of Riquewihr, the pearl of the Alsatian vineyard, in this comfortable studio of 14 m², completely renovated, on the 2nd floor of a beautiful typical half-timbered house. 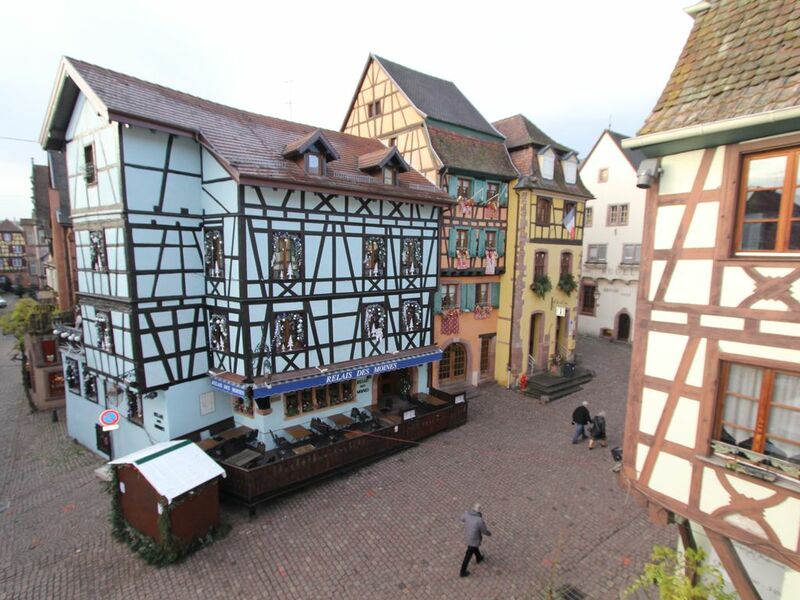 This studio is the ideal pied à terre to discover Alsace at a reduced price but with all the modern comforts and an exceptional view on the heart of the village! To optimize the space, a sofa convertible rapido quality turns into a real bed 2 beds at night. A clever kitchenette (with sink, fridge, induction hob, microwave, coffee maker ...) extends into a snack table for meals for two. In addition, there is a wall-mounted TV and free Wi-Fi. A bathroom with shower and toilet completes the studio. We would like to welcome you personally to ensure your total satisfaction and advise you, according to your tastes, to make your stay in Alsace unforgettable.